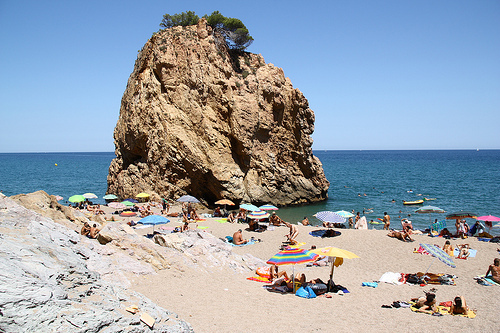 Pals Beach (Platja de Pals or Platja del Racó), located just behind the Begur massif, north, is a long sandy beach that leaves behind the succession of rocky coves of this village in Costa Brava center. In Pals Beach, the Costa Brava is for a few kilometers no more “brava” arriving at l’Estartit harbour, where, again, begins the succession of rocky coves to the north. 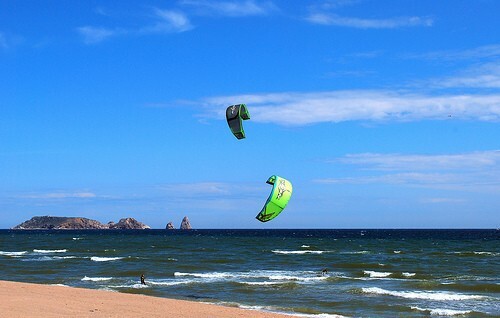 However, precisely because of its width and for its warm sand, this wide beach, commonly known as Platja de Pals, actually still belongs to the Begur village, and is very visited in summer, especially by the inhabitants of the area who prefer to enjoy a wide and spacious beach before staying in the little creeks, perhaps the most beautiful in a natural sense, although less comfortable for the space to share. Pals Beach has many attractions. 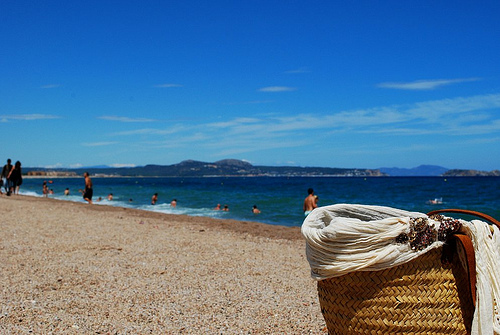 Facing toward the Medes Islands, in the background, they are a reference point that is never lost. The beach also allows interesting walks through the coast: to the south, toward the Begur massif, begins a coastal path that, through the nudist beach Illa Roja, brings us to the cove of Sa Riera. North along the beach takes you to the mouth of the river Daró and, a little further to the Ter. Another of the natural characteristics of this beautiful beach are dunes, real ecosystems that develop in accumulations of wind-borne sand. In these regions they are due to the strong north wind, the Tramuntana, which manages to carry large amounts of sand from the bay of Roses until just before the mountains of Begur. Therefore the plant species who grow here are of high scientific value and are studied with great interest, so it was decided to protect them from human action and, walking along the coast, you will find their access restricted by strings. Please do not pass them to not harm this delicate habitat. 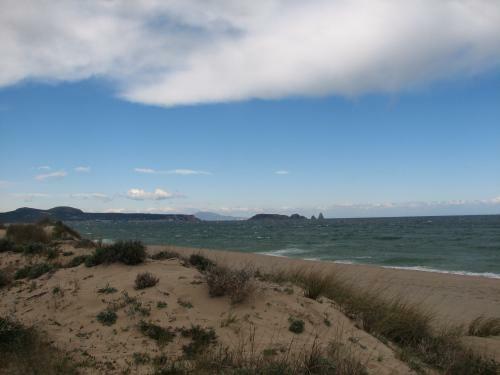 The Raco beach is 400 meters long and 40 meters wide, and it is a continuum of several kilometers of beach that reaches l’Estartit village. In it there is always space for everyone, even in summer, making it the perfect choice for visitors to the small coves of Begur who prefer sunbathing with some extra space in the sand. It also has showers, several bars, hire pedalos and bars and restaurants very close to beach. In addition there are several sailing sports centers that offer the perfect opportunity to get started in sports such as sailing and windsurfing, taking advantage of the excellent wind conditions offered by Platja del Racó.